A good day starts with a good morning, and a good morning is hard to come by without a little planning. If you’re looking to get the most of out of every day the world tosses your way, you’re in luck. We’ve partnered with COVERGIRL to illustrate the best ways to optimize your day around four kinds of morning routines. That anxiousness you feel as Sunday afternoon creeps toward Monday morning? 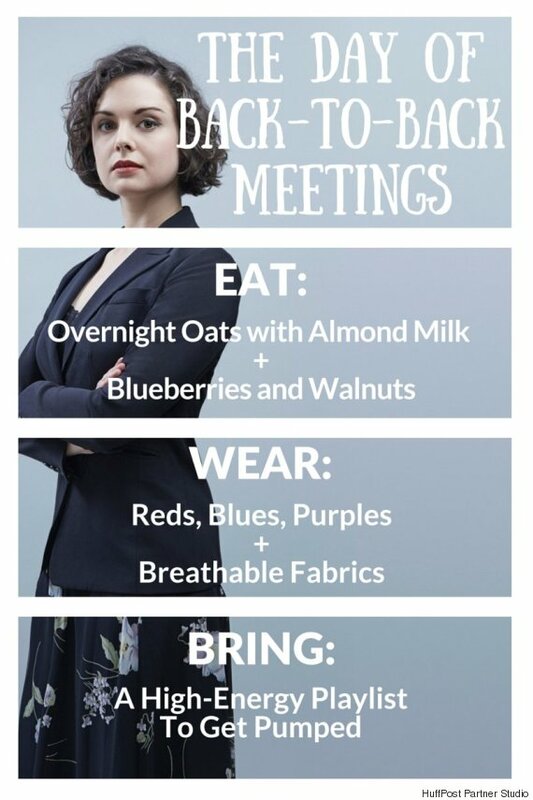 It’s something we’ve all felt, especially when our week kicks off with a jam-packed schedule of back-to-back meetings. Jump-start your busy day the right way with a brain-boosting breakfast of whole grains and healthy fats. Toss on an outfit that makes you feel powerful and exude confidence, and channel your nerves into enthusiasm with a get-pumped playlist. Tip: Just two minutes of power posing will leave you feeling more confident and less stressed, so strike a pose between high-pressure meetings. 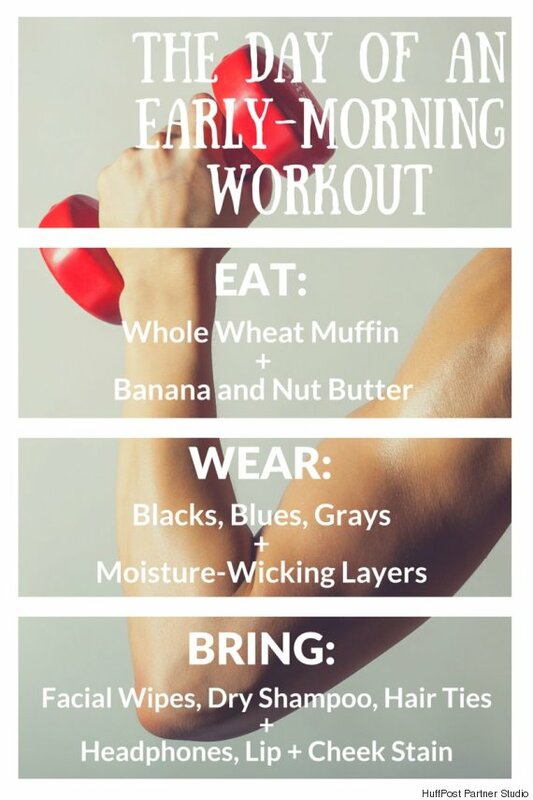 If you’re kick-starting your day with an aggressively early workout, fuel your body with small, make-ahead portions of proteins and simple carbs. Make the most of your day by wearing moisture-absorbing fabrics in dark colors, which won’t show sweat. After a quick cool down and wash up, you’ll be gym-to-errands ready in no time. Don’t forget your post-workout beauty products that pull double duty: lip color as cheek stain, smudged mascara as eyeliner and BB cream as a highlighter. Tip: Pop a mint on your way to the gym. Peppermint has been proven to increase alertness and circulation, giving your groggy brain the boost it needs to get out the door. Your day-to-night transformation is a seamless fusion of science and art. What products should you toss into your to-go beauty bag on your way out the door in the morning? To bring or not to bring a change of heels? The truth is, when you’re planning your day to precede a night out, you want easy tips and tricks to pump up your look that you can master in a flash. Think layers you can ditch while you’re in the cab on your way to the date, easy-to-apply lip and cheek color, and smudge-proof eyeliner. If your date is drinks-only, don’t forget to eat something light before heading out to help prevent a next-day headache. Tip: To keep your morning makeup looking fresh into the night, set it with a quick spritz of your favorite scented hairspray. Your makeup won’t smudge, and you’ll smell twice as nice. Easy, comfortable and stylish. 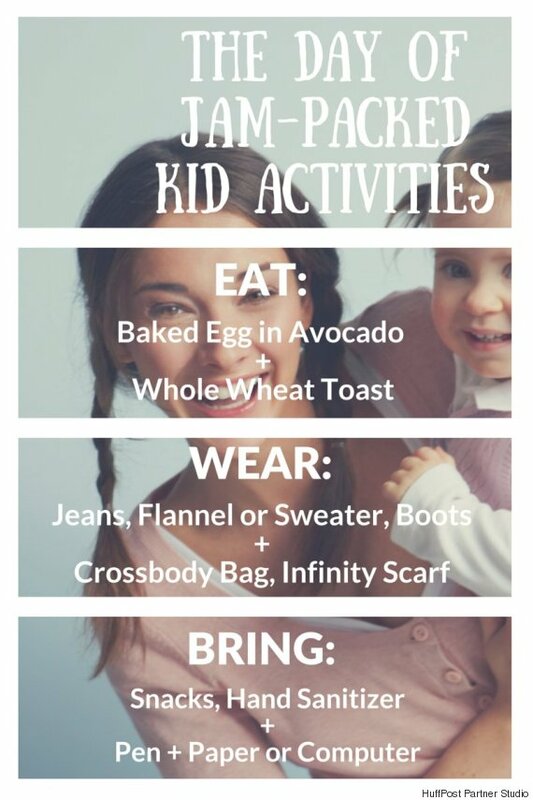 If you’re a mom, those are your style buzzwords. And when you’re optimizing your day around soccer practices and birthday parties, you’re going to need the energy to keep up. Jumpstart your morning with a high-energy breakfast to keep yourself going all day long. Wear clothes that you can move in, and bring work to keep yourself busy while the kids do their own thing. Tip: Ditch your car and instead walk to carry out your errands on foot. You’ll spend more quality time with your kid, and the energizing walk will fuel his or her growing brain. Optimize your morning routine and use COVERGIRL + Olay to face the day with your best face forward.